As a mathematician I never shy away from showing the value of mathematics to the general public. 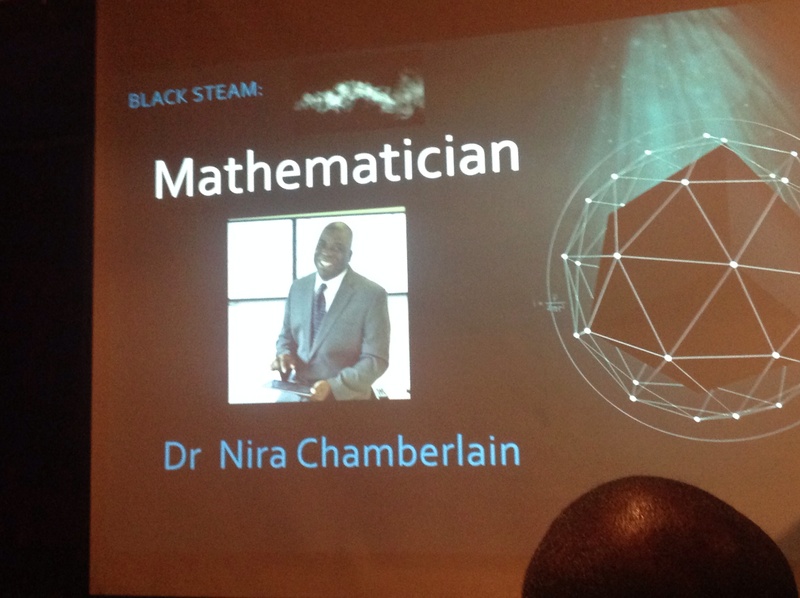 However, it is rare for me to share the stage with other Black Scientist and Black Engineers. Last Saturday, I took part in Black STEAM at the Mockingbird Theatre – the Custard Factory. 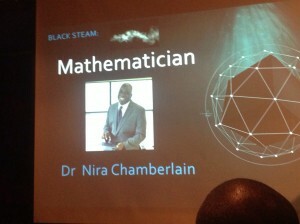 STEAM – stands for Science, Technology, Engineering, Art and Mathematics. The talks took the format of TedX . The quality, passionate and expertise of the other speakers was very inspiring. It was an honour to sit back and listen to them. If you hear of their names speaking at other events, I recommend you go and hear them speak. As well as this, a big shout out to the organizers of Black STEAM. The event was well planned to a military precision, well attended and executed with professional excellence.